Tell me your questions about drinks and beverages! Are you a science geek or a foodie who likes to cook? You'll also get my monthly Cooking & Science Newsletter. And no spam, ever! Cooking for Geeks is more than just a cookbook. 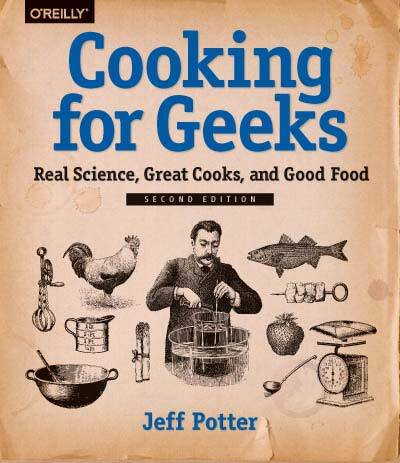 Author and cooking geek Jeff Potter helps you apply curiosity, inspiration, and invention to the food you prepare. The Washington Post called the first edition “One of the most useful books on understanding cooking”—and the new second edition is even better. 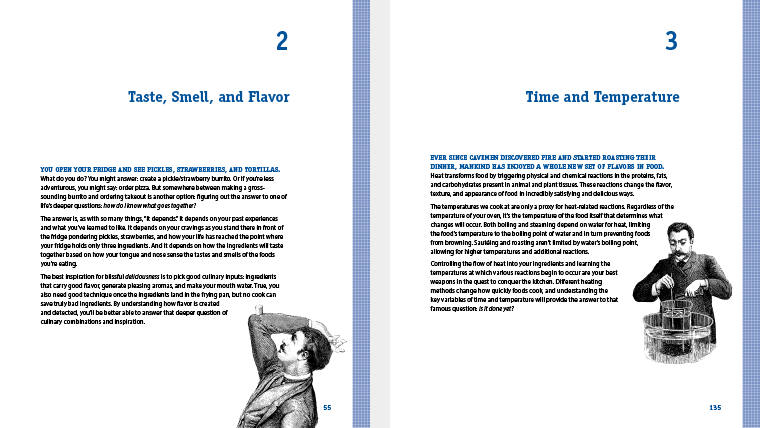 The just-released second edition is completely revised. With over 150 pages of new content, the second edition covers everything from the science of fats to how to make a 500 pound doughnut. There are new interviews with chefs like Jacques Pépin and Bridget Lancaster, and now over 100 recipes to satisfy the curious, smart, and hungry geek. Read chapters 2 and 3 for free. Potter’s hope is to encourage geeky types who like to take things apart and experiment with them to realize that cooking’s just the same—only you can eat the results. Probably the best science-meets-the-kitchen book to come out. Ever. Hard to put down. Its overall clarity and organization, as well as its success, may point to a sequel (or a 2.0 version) of sorts. My own session with the book made me feel a lot more confident in my cooking. Jeff Potter is curious about the science of food and loves finding answers to why ingredients and recipes work the way they do. By bringing science to food-minded people—and food to science-minded people—he blends genres to educate the public about how to master the kitchen. He’s been featured in USA Today, the Today Show, and is a regular guest on Science Friday. 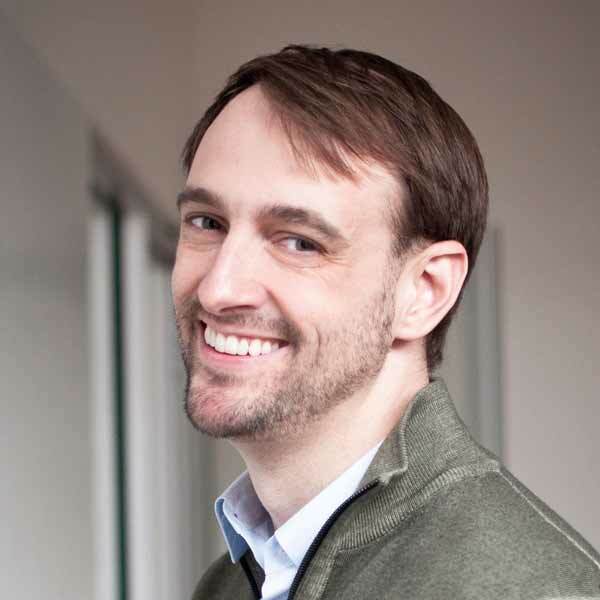 When not in the kitchen cooking with friends, Jeff Potter works with organizations and tech startups, building the technology behind their products. He studied computer science and visual art at Brown University. He can be found online at www.jeffpotter.org. Thanks to Susan Snedaker at shoporganic.com for helping with the domain name.